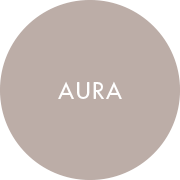 Aura was created to meet the demands of modern food presentation. The range is built around three flatware shapes: Aura Modern The wide angled rims and small wells focus on smaller portions. Aura Flat Rim An elegant shape combining a shallow bowl with flat rim to create a delicate and contemporary feel. Aura Medium Rim A perfect banqueting range delivering style and functionality. 30.0cm (11 3/4") Well 6 1/4"
30.0cm (11 3/4") Well 6 3/4"
27.0cm (10 1/2") Well 7 1/2"
17.0cm (6 3/4") Well 4"